Born in Somerset, England on 14 March 1879, he immigrated to Manitoba in 1895, settling in the Ogilvie district where he operated a grain, cattle, sheep, pig and poultry farm. In April 1899, he married Kate Woodings, with whom he had a daughter and two sons. He was a councillor of the Rural Municipality of Westbourne from 1926 to 1944 and Reeve of Westbourne in 1945, being replaced in the latter position by C. A. McCrae. 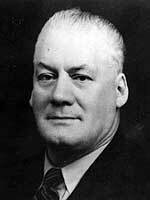 Browning served on the Executive of the Union of Manitoba Municipalities and was its president in 1941 and 1942. He was appointed to the Manitoba Assessment Equalization and Appeal Board after World War Two, and he remained on the Board at the time of his death, in October 1958. Marriage registration for E. S. Browning, Manitoba Vital Statistics. Western Municipal News, October 1958, page 313.